Dealing with bereavement can be a difficult time, without the daunting prospect of independently selling an inherited property that’s been left to you. With the beginning of 2017 seeing tax inheritance hit a 35-year high, it is more important than ever to cut costs wherever viable. This includes finding cheap, prudent and inventive ways to ready your house for sale while keeping firmly in the black. With this in mind, here we have 5 cost-effective ways to improve the look and feel of a house, to help you make quick and easy work of selling your inherited property in the fastest possible time. 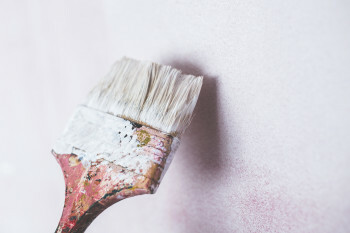 A fresh, new paint job is the ideal cut-rate ticket to sprucing up a home interior. This includes kitchen cabinets, baseboards, mouldings, trims, entryways and, of course, walls. Remove as many excess furniture items as possible and clear out any unnecessary paper/magazine piles that might make an otherwise spacious home seem cluttered. It is important to show off as much space as possible, while a tidy house also makes it seem like it’s been taken greater care of. If time and money are of the essence, we recommend disencumbering yourself from ambitious ideas for renovation. While it may be tempting to think about remodelling, a little goes a long way towards revamping a room. For example, having brand new household appliances fitted – such as a washing machine or dishwasher – can give the instant illusion of modernity in a potentially outdated kitchen. Digging out and replacing old grout from your bathroom and kitchen tiles give the impression of a more contemporary space. On first glance, the area will seem newer, cleaner and much less used. If you’re feeling adventurous, buying new taps can also count towards improving the overall look (though it may require hiring a plumber). Updating your light fixtures is a cheap way to brighten up rooms and make them appear more modern. There are a range of effective (and inexpensive!) ways to do this, and it could make a vital difference when it comes to finding a prospective buyer. As we have seen, then, selling a property which you’ve inherited doesn’t have to cost you the earth! All it takes is a little determination and elbow grease on your part and you will soon have the property looking great and ready to bring to the market. If after reading this post you still feel a little daunted by the task, you might want to consider getting some advice from industry professionals in selling inherited property to help you find the best solution for your own personal circumstances.